Enter your e-mail address to subscribe to The Writing on the Wall and receive notifications of new and introspective tags via e-mail. FLDS: Does the "F" mean "fashionista"? Victoria's Secret: "She didn't do it. Pastor's honor." From the horse's mouth, "Joel Osteen is a spiritual midget"
Is a church blessed if built by drug money? An age-old question among Christ followers revolves around… the lottery. I know, don’t you feel dirty reading that? And why? Because while you have been told gambling is a sin, you’re all ridden with angst that you can’t get some of that money. No worries. I hate lotto players too.Vehemently. In Mexico, visit this house of the... drug Lord? This story from the USA Today creates a different conundrum: If a drug kingpin builds a church, will God inhabit the praises of those people? “We know that the narcos … look for a way to redeem themselves in religious terms, by doing some good work. Obviously, sins cannot be washed away by a donation or a collection,” said the Rev. Hugo Valdemar, spokesman for the Archdiocese of Mexico, the country’s largest. This is a legitimate house of worship in the village of Tezontle. 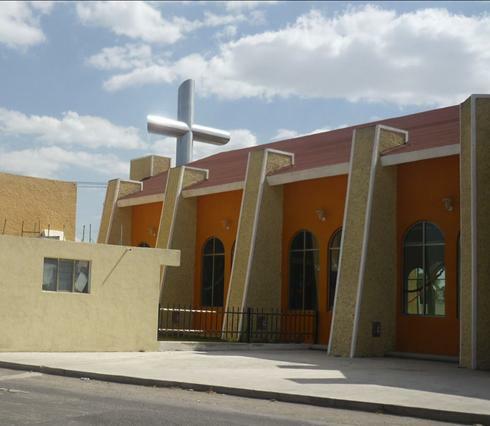 A place for Mexicans to glorify the Lord. You think they know how this modern church was built? Well, the story continues to tell us that on a wall of the nouveau riche chapel, a plaque says it was donated by the leader of the violent Zetas cartel. “Donated by Heriberto Lazcano Lazcano, Lord, hear my prayer,” reads the bronze-colored marker, which says the chapel was built in honor of Pope John Paul II. Lazcano, who is wanted in both Mexico and the U.S., has more than $7 million in reward money on his head. I’m sure there are some who believe this was Lazcano’s (or Lazcano Lazcano’s) mea culpa. Others may say this was his opportunity to show goodwill to the country that wants him incarcerated… or worse. Either way, how would you feel worshiping in this house? Better yet, going to confession? You know, you’re sitting there reading the hymnal and these beautiful red and blue swirling lights are seen outside during mass. The priest breaks out an AK-47 from under his robe. And the altar boys dawn bandannas while shouting with clinched fists to the congregation. Sounds like a quaint Sunday to me. Sweet. Only one thing, with the holidays looming, stay away from the mules in the Nativity scene. I’m sure they’re not what you think they are. They addressed the hypocrisy among the faithful, the stigma in the Church and the elephant dropping bombs in the room. If it ain't broke, buy another one. It was a bold move because the biggest cause of Atheism would be Christians who do not reflect Christ. Great idea, right? Apparently so, because it’s been cloned according to the Christian Post. 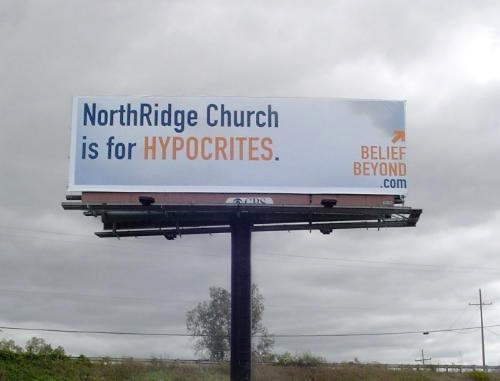 A megachurch [NorthRidge Church] in Southeast Michigan is making a lot of people uncomfortable with its new billboard campaign that proclaims that the church is for hypocrites, losers and liars. Well, of course, they are making a lot of people uncomfortable… the formula worked once before. Why not do it again? “The reality is all human beings are the same. They’re flawed. We’re all the same inside [the church] and outside. We too are failures, losers, … hypocrites,” [Pastor Brad Powell of NorthRidge Church] continued. Don’t get me wrong… he’s right. Regretfully. However, just because the word changed from “jerks” to “hypocrites,” does not make this an original idea. There’s no such thing as an original idea anyway, but at least give it a few months before you poach it?! 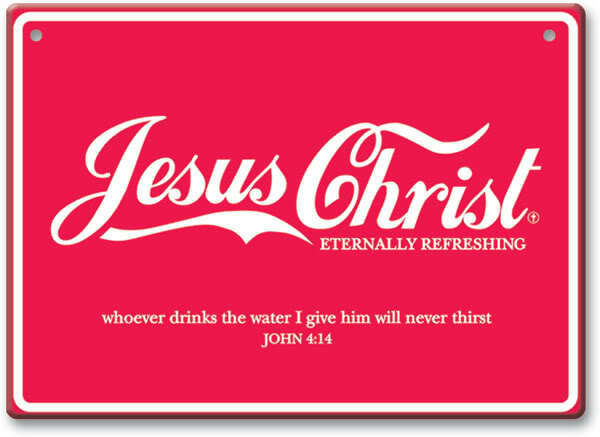 It’s no secret I don’t have much affinity for stereotypical Christian marketing. I mean, how difficult must it be to take a well-known brand and make an evangelism hack job out of it? Oh. The scripture. That'll make us forget about the familiar logo. Consider God: There was nothing but his idea. He imagined with vivid detail, molded the earth with complete ingenuity and relished in the unique nature of his creation. He didn’t copy a logo. He didn’t “borrow” an invention. Everything he did was an original. And that’s why it baffles me that marketing and advertising professionals who love the Lord and have dedicated their lives to him can’t at least go about their trade with a tad more originality. Brands like ‘Not of this World‘ have taken what ‘Affliction’, ‘Silver Star’ and ‘MMA Elite’ has done for the mixed martial artist crowds and brought it to the Church. Bravo. Pastor Brad (imagine, he doesn’t like being called that) understands this whole “jerk” thing is lightning in a bottle. Everyone is looking at this. Everyone appreciates this. Because everyone agrees with this… except for the folk who are this. A thought for all pastors: Be unconventional. Be daring. And most importantly, try to be original. You tend to make more news that way. Just ask the little church in Beaumont, Texas about that one. No, not that guy. He died for your sins and does heavenly stuff like that everyday. Come on, someone else. Someone more… human. Yeah, that’s seems to be an issue going around. According to the Denver Post, there’s a new Barna poll out there and the saints aren’t looking too well. One in four Americans said they couldn’t think of a single positive societal contribution made by Christians in recent years, according to a nationwide survey released Monday. Also, one in 10 adults said they couldn’t think of a recent positive contribution because Christians hadn’t made one, the Barna Group reported. 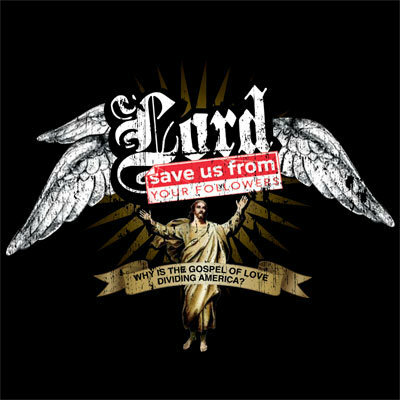 Think about that: 25 percent of all Americans – many of which are saved – can’t think of one thing a Christian has contributed to society. You know the type: Go to some milquetoast collection of sanctimonious, pretentious tools on Christmas, Mother’s Day and on Sundays after a weekend bender, get a feel good catch phrase the pastor found in a Bartleby’s collection book and go back to work acting like a total heathen all week long. And those are most of the “Christians” considered in this highly biased poll. Regretfully. How do I know? This is what blows. Forget the amazing Christ followers who are being persecuted overseas. Ignore the missionaries in foreign lands translating the Bible and fulfilling the Great Commission. Avoid thinking about the millions of church volunteers who serve the Lord because there’s a need. Yeah, give them all the Heisman! Let’s focus our energy on all the D-bags that selfishly fill up the pews of churches across the country and who make us all look bad. Those folk aren’t doing us any favor, saints. Yet, what are we doing about it? Maybe I am just speaking to thin air, but this concerns me a lot. What can I do to impact the world around me… and take away attention from the rest of these dolts. They’re not making a Christian life any easier. The fraudulent televangelists. The pathetic pastors. The deplorable witnesses. What’s even more upsetting is for every one of the aforementioned, there are a half dozen awe-striking stalwarts for the Gospel. You can find them in the mission field, on the job, at the church and yes, even on TV. Can you blame this church for calling a spade, a spade. Or better yet, the Church, a haven for a bunch of self-righteous jerks? Not me. For centuries, the Church (yours, mine, just about everyone’s) has been under the collective microscope of every person outside of salvation. And why? The answer is as simple, as it is complex. Think “The Great Commission.” Maybe you’ve heard of it? The problem with this – and Jesus knew it when he put it into motion – is that evangelism is a sales job. We are promoting a better life with Christ Almighty. And the only the runaway sheep can find the shepherd is to follow him… and like-minded sheep. Remember, sheep follow. And since they can’t physically see Christ, they have to go with the next best thing: Christ followers. So, what happens if said Christ followers are – shall we say – “a bunch of jerks”? My guess is atheism will go through the roof… oh, would you look at that? It is! And it’s all our fault. Yes, when Jesus said “Go therefore”, he knew very well what it was there for, only he wanted us to get out of the way. We didn’t, and that’s why thought-provoking churches like this one in Beaumont, Texas are calling us all out. “Jerks.” Well, we’ve been called a lot worse. Now, we need to fix it and the church’s lead minister has a nice idea. “How do we tell this community that we want to be different? This is like our mea culpa. We know we’ve failed,” said Chris Beard, the church’s lead minister. I know. I know. Some of you are too sanctimonious to have this junior-section, Affliction-wearing t-shirt guy speak for you, but unless the lost realize the fraudulent televangelists, the hypocritical pastors, the two-faced Christians out there (and you know who you are) do not speak for us, then evangelism will continue to be a difficult proposition these days. After all, what is the number one cause for atheism and cynicism these days? Christians. Well, the jerks. Are Christian Teens an Endangered Species? So, I’m reading WOW News’ CNN Belief Blog and I find a story that seems appealing. One sentence into the thing, I’m incensed and feel like dog cussing some folk… but for the grace of God. Your child is following a “mutant” form of Christianity, and you may be responsible. To some, that sentence may not mean a thing and you’re thinking, “Grow up, HiScrivener.” To others, you are reading beyond the text and seeing the pandemic upon us – lukewarm pablum, uncommitted Christ followers and milquetoast preachers who the last time they experienced any “fire and brimstone” was slipping while placing a Duraflame in the fireplace. 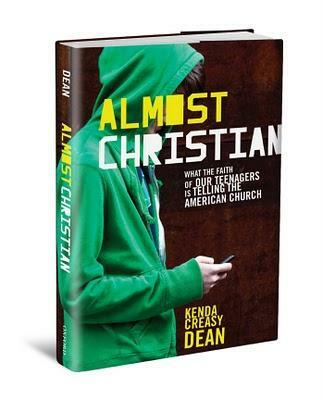 [Author Kenda Creasy] Dean says more American teenagers are embracing what she calls “moralistic therapeutic deism.” Translation: It’s a watered-down faith that portrays God as a “divine therapist” whose chief goal is to boost people’s self-esteem. And the girl is legit too. Dean, a professor at Princeton Theological Seminary and author of “Almost Christian”, is testifying about something many of us have been exclaiming for year. The Church has become a social club, not a hospital for the hurting. Why else do they call these big box churches “Evangelical Lite“?! Because there is nothing heavy being taught in these places. Don’t get me wrong, there is nothing wrong with megachurches providing the pastors in charge are serious about teaching the Word of God the way it needs to be taught. However, if some of the altruistic benefactors of no condemnation and bumping up the church numbers to one-up the next toolbox are only interested in the weekly offering, then Houston, we have a friggin’ problem. Some do, but visit any “The Largest Megachurches” lists on the Internet and most of them are pioneered by guys who are very successful for rehashing and requoting Zig Ziglar, Sun Tzu and their grandmama. Their needs to be more passion about Christ, more conviction about living for Christ and honestly, if some folk warming a pew can’t take it – split! MEMO to Pastors everywhere: Get this woman to teach in your church the first Sunday possible! Eddie Long gets some good press… from his own magazine?! Schuller: Show me the money! Please? What does “Christian Movie” mean anyway?